Social media efforts can no longer just be used as a stand-alone strategy. Insight gained from these efforts must be integrated with other business processes such as customer service and help desk, idea management, requirements management, and project management. They must also be visible, and traceable across the development process. Finally, in the true nature of social collaboration, this information should be shared with both internal and external stakeholders such as business partners, employees and especially customers. It should also be accessible across departments like sales, customer support, marketing, product development and engineering. The social web is quickly becoming a popular method for customers to express product and service related ideas, issues, questions and problems. Social conversations within customer communities are happening much more frequently and in real-time and are starting to receive a lot of attention in the product management world. 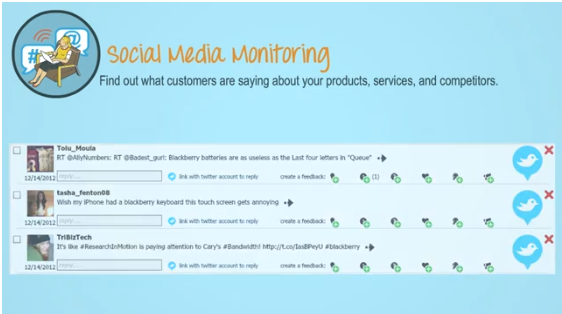 The question is: How can product managers use social media monitoring to build the right product requirements and make more informed product-related decisions?